Sales reps often put customers on pedestals such that it makes it difficult to sell effectively. Are you having trouble connecting with your customers in the clinical or other environment? 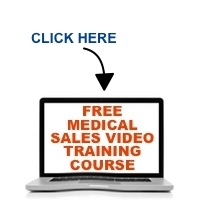 Listen to this edition of the Medical Sales Guru Podcast to understand why it happens and learn how to adopt a mindset to engage your customers and sell more effectively.